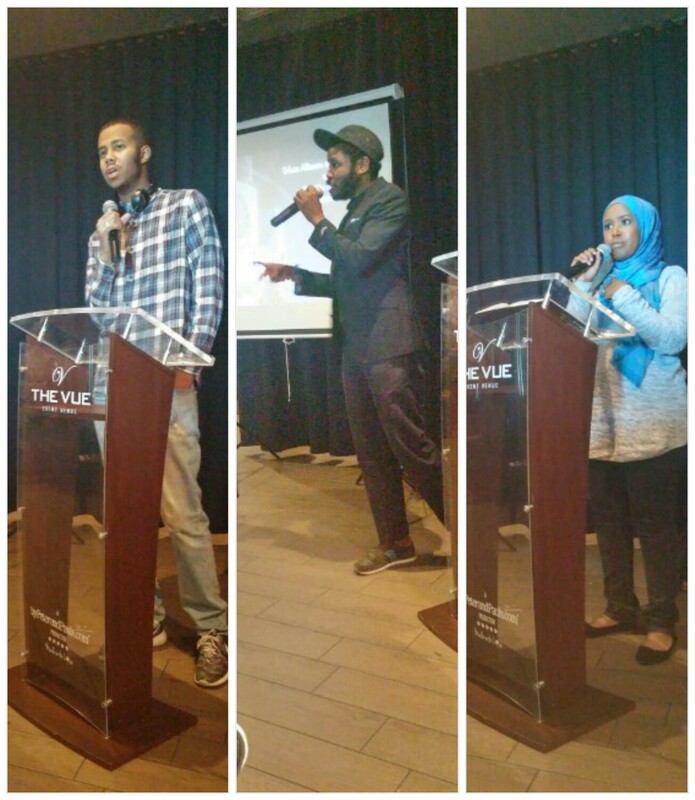 UARR Executive Director Jason Merai (Top), Researcher/Organizer Jaafar Dirie (Middle), and Master of Ceremonies Megan Fitzgerald (Bottom). Spoken Word Artist Mustafa (Left), Breaking the Cycle Speaker Gary Newman (Middle), and Midayanta Community Services Speaker Fowzia Duale (Right). Regent Park Community Speaker Namarig Ahmed (Left), and Speaker Sh. Zakariya Warsame (Right). 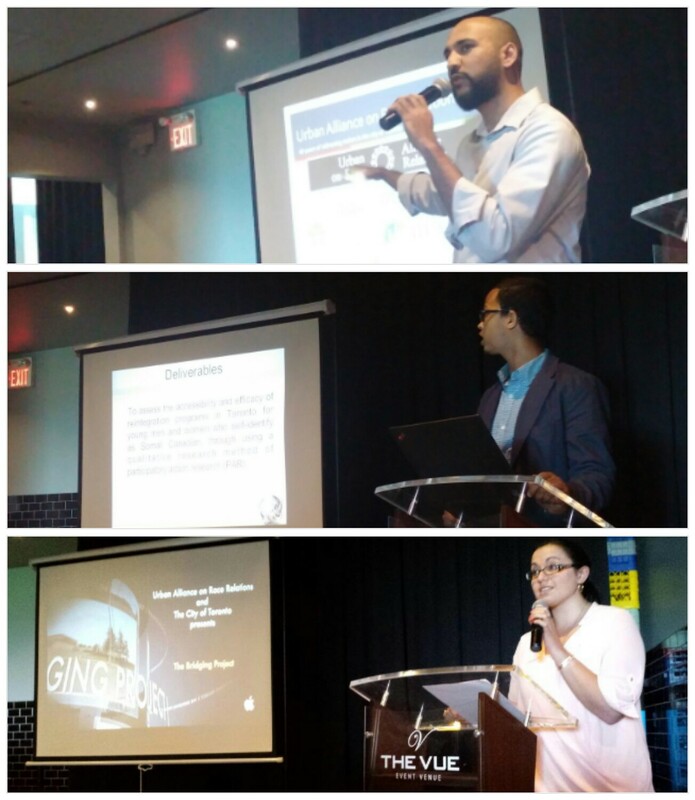 On Saturday, June 6th, Urban Alliance on Race Relations hosted its community forum for The Bridging Project at The Vue in North Etobicoke. “The Bridging Project” is a qualitative research project advancing knowledge of the experiences, barriers, challenges and successes of previously incarcerated self-identifying Canadian Somali youth. 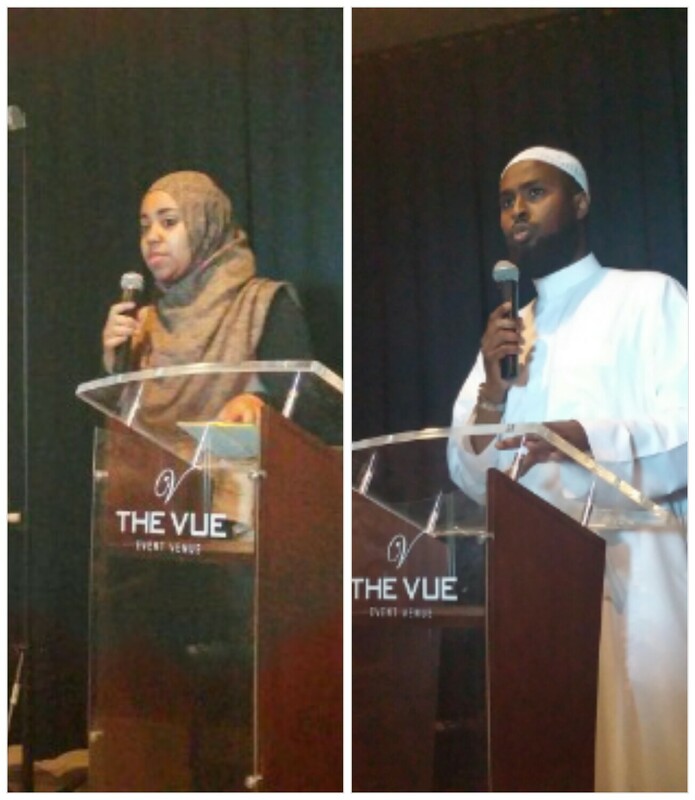 This event was held to include the community in a discussion on the gaps in services provided to Somali youth who have previously been incarcerated. There was an amazing turn out of community researchers, service providers, families, and other community supporters gathering together to discuss this issue and brainstorm new ways that the community collectively can address it. The forum included speakers from service providers such as Breaking the Cycle, Midayanta Community Services, and Regent Park Community. UARR Executive Director Jason Merai spoke on behalf of Urban Alliance, and Researcher/Organizer Jaafar Dirie gave a breakdown of the findings of the project. The final report from The Bridging Project will be available to the public to view online in the Fall of 2015. For a feature of the project, please watch the Bridging Project Documentary.